Hello everyone, and welcome to Full Sport Press. In this blog you will find the latest happenings with our local New Orleans teams, and we’ll also keep an eye on our Louisiana college teams as well, with the occasional dip into the high school scene. However, we’re not just here to cover the “big three” in sport. If you consider it a sport, we are interested. Except maybe fishing, unless there are life jackets. I’m not the strongest of swimmers. Anyway, we hope you enjoy the show – where everything is game, and all are welcome. With that said, let’s not pretend we would start with anything but the Saints. According to many prognosticators, the first Sunday of the fall came and went as scripted. 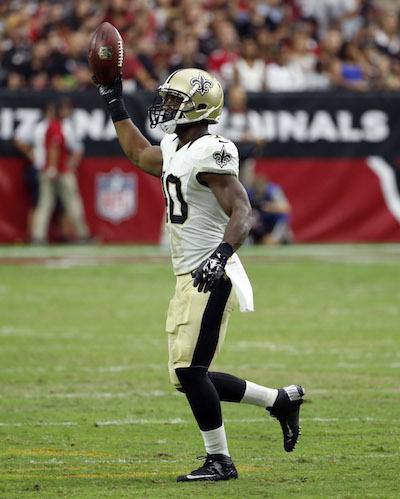 The young Saints could not hang with the Arizona Cardinals Sunday afternoon, losing 31-19. The first game of any football season, at any level, is an interesting spectacle. Besides the pomp and circumstance that surrounds the beginning of each campaign, the outcome is always magnified to outsized, grotesque proportions. A victory sprouts visions of championships and confetti, while a loss brings delusions of bitter trudges through the cold muck of another losing season. In other words, hold the phone folks. Let’s not get ahead of ourselves, and one game is just that – one game. The Saints have a long way to go, and there are some new kids on the block. This can be a liability, I know (don’t start typing that comment just yet). For, no doubt about it, a youth movement is in effect for the Saints. Scattered throughout the Saints 53 man roster you will find 12 rookies, the most of any NFL team, according to Jeff Duncan at NOLA.com. And to be honest, you could see it on the field during Sunday’s game against the Arizona Cardinals – most significantly on the defensive side of the ball. The Cardinals running back Andre Ellington enjoyed doublewide running lanes during most of the game, and gashed the Saints for 5.8 yards per carry. In the defensive backfield, young Delvin Breaux had his hands full (literally sometimes), getting flagged five times by the men in stripes. His fellow rookie, Damian Swann picked up a penalty for interference as well. Unfortunately, the defensive backfield didn’t get much help from their line (a mix of veterans and rookies alike). Carson Palmer, especially during the first half, had way too much time to pick apart the young secondary and did at will. Including the first touchdown of the game, when Palmer had enough time in the pocket to draw a bad courtroom sketch of Tom Brady. But again, the kids were alright; The men as well. The Saints held off the initial Cardinal onslaught, and settled the game down. Coach Payton stuck with a conservative attack throughout the game, and the Saints won the time of possession. The Saints tried to pound the ball, to little effect, against a rugged defensive line. Even though Mark Ingram (an ‘old timer’ entering his fifth season) and Khiry Robinson struggled to find holes in the trenches, they both remained a big part of the offensive attack. As the Cardinals star defensive backs, Patrick Peterson and Tyrann Mathieu (both products of LSU), locked up the Saints wideouts, Drew Brees delivered screen pass after screen pass to his running backs. Most notably, a screen that Mark Ingram snatched and scampered 59 yards down the sideline. Ingram, much like Willie Snead’s 63 yards catch and run, regrettably did not make it into the end zone, and the Saints would have to settle for field goals. Their red zone woes would haunt. But, even though they didn’t get the touchdown, didn’t you jump out of your seat? Didn’t you think the Saints were going to pull the upset in Phoenix? Of course you did. For, the momentum had shifted to the Black and Gold. It was the Saints offense that was moving, it was the Saints offense that was making the Cardinals pay for their mistakes. All of a sudden, the Cardinals passing attack wasn’t on such solid ground, because Cam Jordan and company were getting to Palmer. Now Damian Swann was batting away passes, and Hau’oli Kikaha was causing fumbles, which Breaux would recover. The Saints didn’t get any sacks, but did get enough pressure to where one could begin to see that symbiotic relationship, between defensive lineman and back – the ebb and flow that makes a defense come alive. Of course, it just wasn’t enough – but it was a lot closer than many will have you believe. For there was Drew Brees marching onto the field with two minutes left, only needing a touchdown to steal a victory on the road, erase some doubts, and return to a city of infinite confetti – but it didn’t happen. Like all youth, there are still some things to learn, mistakes to be made. There will be moments of ripping your hair out “why did he do that?” anguish, followed by jumping out of your skin, “HOW did he do that?” joy. So, buckle up Saints fans. And like a fine wine with a steak dinner, every game should be accompanied by a beverage, and a song. – Southern University’s Willie Quinn is quickly turning into a one-man human highlight reel. Quinn, who last week returned a kickoff 100 yards for a TD against Louisiana Tech, made the Jaguars game against Mississippi Valley State his own version of backyard football. Quinn followed a 39-yard punt return for a TD , in the 1st quarter, with an 89 yard TD pass in the 2nd quarter. After the half, all he did was return a kick 90 yards for a touchdown. If Willie was plugged into the early 90’s smash hit video game Tecmobowl, he would be better than Bo Jackson and you would NEVER be able to tackle him. You can see the Jaguars take on Jackson State this Saturday at 5 p.m. on the WatchESPN app. – The LSU Tigers got a taste of how good the SEC West is (again) by holding on to defeat the Bulldogs of Mississippi State, 21-19. Les Miles made the game interesting (again) by electing to give the ball back to Mississippi State’s quarterback Dak Prescott with under two minutes remaining. Prescott immediately did what Heisman hopefuls do and marched his team down the field, only to watch a 52-yard field goal sail wide right. Also, in case you didn’t know, Leonard Fournette is the best running back in America. The Tigers return home to take on Auburn this Saturday at 2:30 p.m. on CBS.